The management job description outlines the typical duties and responsibilities of the general management function in an organization. Regardless of age, gender, industry or employer there are common skills and abilities needed for successful performance as a manager. The key outputs and competencies for a manager job are clearly summarized. 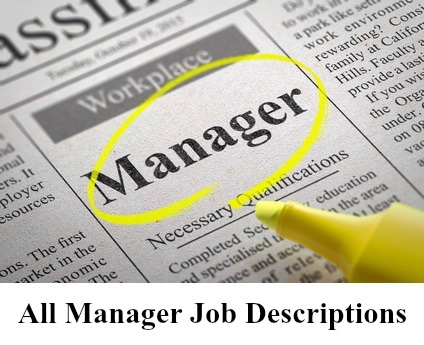 Adapt this sample job description for manager positions to meet your specific requirements. Plan, direct and co-ordinate the operations of a business, division, department or operating unit. Plan and maintain systems and procedures for operating efficiency. Manage staff for optimum performance. Looking for a manager position? These resources will help you. Send a persuasive manager cover letter with your resume. 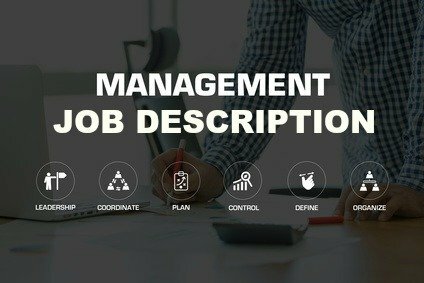 Select the management job description you need from this list of comprehensive and easy-to-use manager job descriptions. Find out the skills and competencies that make a successful manager when developing your job description. Preparing for a manager job interview?